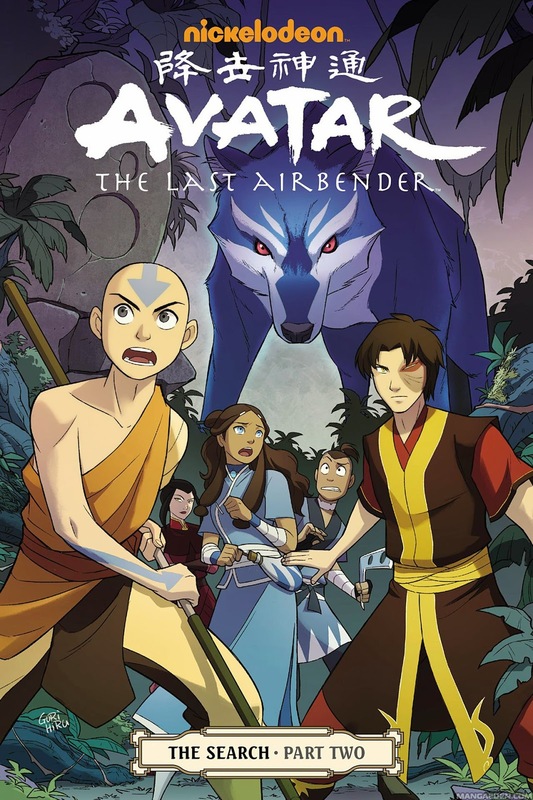 A few months ago I wrote a review of The Promise, the first of three graphic novel sequels to the hit series, Avatar: The Last Airbender. Today I'm going to review the second in the series of sequels, The Search. 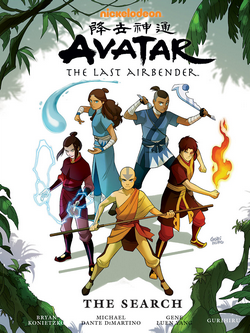 Since the Avatar TV series ended, fans have been left with the unanswered question of what happened to Zuko's mother. Though her fate has been teased in both The Promise and the pilot episode of The Legend of Korra, for years, the answer to this question has been left a mystery. 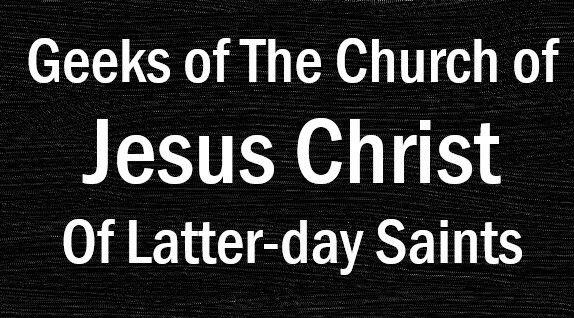 Finally, in The Search, the question is answered. As seen in The Promise, Zuko got nowhere when he questioned his father about the whereabouts of his mother. But after the events of The Promise, Zuko decides that he needs the closure of finding out what happened to his mother, and he commits himself to finding her. Team Avatar is only too happy to help him with his quest. But there is a twist, as the one who holds the biggest clue as to where his mother disappeared is none other than his sister, Azula. And Azula will only reveal what she knows if she is allowed to come along. Azula is still just as crazy as when we last saw her in Avatar. And it's quickly revealed that she has her own motives for wanting to find her mother, and they are not nearly as pure as those of Zuko. While Zuko, who really wants to improve his family relationships (if at all possible), is willing to trust Azula to a point, the rest of the group is much more resistant to having her in the party. And while having Azula with them is necessary in their search for Zuko's mother, it also complicates the mission. The Search has its share of twists and turns and revelations. It also delves more into Aang's relationship with spirits and his role as the bridge between spirits and humans. It also explores Zuko's mother's past, and most importantly, answers the question of what happened to her after she disappeared. The story was definitely not what I was expecting, and there was also a big red herring along the way. Overall though, it was an enjoyable read, with enough action and mystery to keep me reading from start to finish. 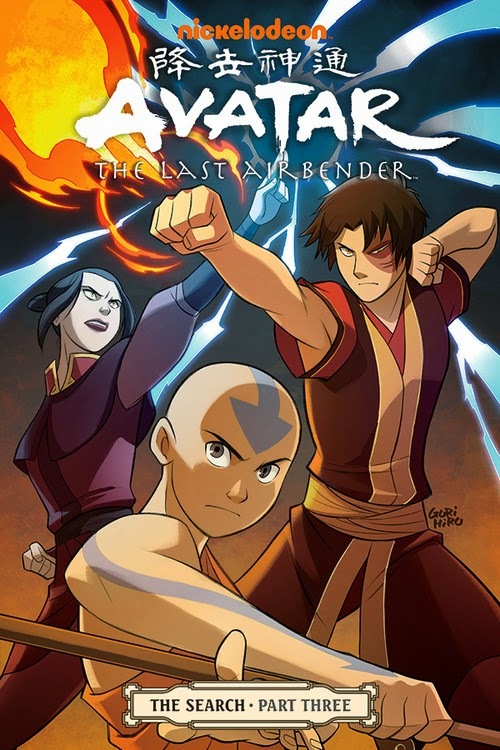 Although The Search did not do as much to bridge the gap between Avatar and Korra as The Promise did, there is still one more story to be told in The Rift. And since Part Three of The Rift is now out, once I finish reading it, I will post a review of the final chapter of this trilogy. 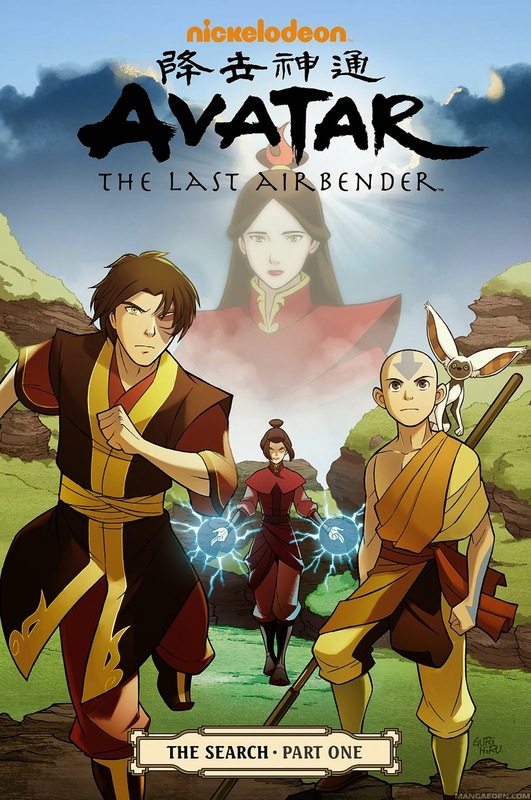 Just as The Promise and The Search have been, I believe that The Rift will continue the same great story-telling that began in Avatar: The Last Airbender. Blast from the past-Joe's board game reviews!